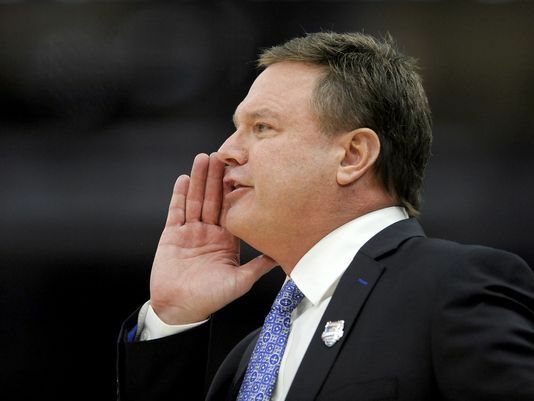 The Jayhawks won’t face a better team than Kentucky until Big 12 play picks up, which means it already has its marquee non-conference resume win a full week before Thanksgiving. Self will take that any day of the week, and it is important to also highlight the bright spots from last night’s contest. Sophomore center Udoka Azubuike impressed with his conditioning and footwork while playing a career-high 34 minutes, although the team didn’t do a great job of finding him until the game’s coda. Furthermore, for all of Vick’s shooting struggles, he showed that he can still help when his shot isn’t falling when he corralled a bad Kentucky pass and found Mykhailiuk leaking out to spark a Kansas spurt. Additionally, freshman Marcus Garrett proved that he can contribute even on a team stacked with experienced guards, and Newman iced the game with his clutch free throws. All four helped Kansas to victory Tuesday night despite Kentucky shooting better from the field, and while Self will surely harp on his offense’s struggles in the days to come, there’s something to be said for achieving a positive result against a quality opponent when the Jayhawks were not at their best. The absences of Frank Mason, Josh Jackson and Landen Lucas were assuredly felt Tuesday night in Chicago, but if the 13-time defending Big 12 champions can couple the defensive intensity they displayed with the high-powered offense we know they’re capable of generating, they’ll be in fantastic shape going forward. This entry was posted on Wednesday, November 15th, 2017 at 2:01 pm by Brian Goodman	and is filed under big 12, feature, microsites. Tagged: Devonte Graham, kansas, lagerald vick, Malik Newman, svi mykhaiuliuk, udoka azubuike. You can follow any responses to this entry through the RSS 2.0 feed. You can leave a response, or trackback from your own site.